Several countries in South and Southeast Asia are undergoing rapid changes due to urbanization and industrial development. The population growth together with rapid economic development is causing immense pressure to convert land from forest to agriculture and from agricultural areas to residential and urban uses with significant impact on ecosystem services. Increased Land Cover/Land Use Change (LCLUC) in the region is disrupting and perturbing atmosphere, forest resources, biodiversity, regional climate, biogeochemical cycles, water resources and other ecosystem services. The aim of this meeting is to review the availability, potential and limitations of different data sources and methodologies for the monitoring and the study of LCLUC, and quantification and its impact on the environment. The meeting presentations will focus on synergies among various approaches and provide recommendations on how to improve the use of earth observations, ground data and modeling techniques for the improved understanding of land use sources and sinks. Overview presentations will present recent research accomplishments and the state of the art on these topics in South/Southeast Asia, and formulate future research directions and applications development needs for the region. 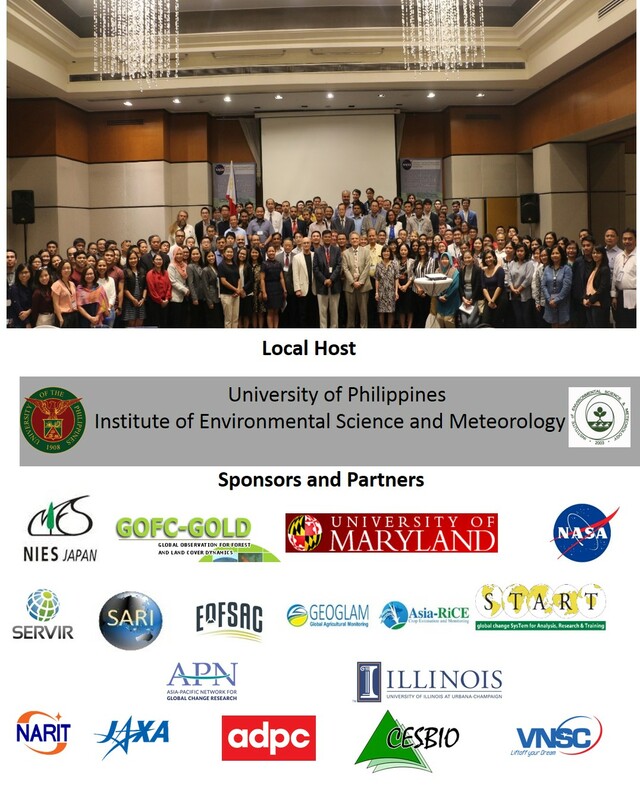 The meeting will explore opportunities for coordination and collaboration among research scientists and teams and ongoing projects aimed to advance our understanding of the spatial extent, intensity, social consequences, and impacts on environment in South/Southeast Asian countries.